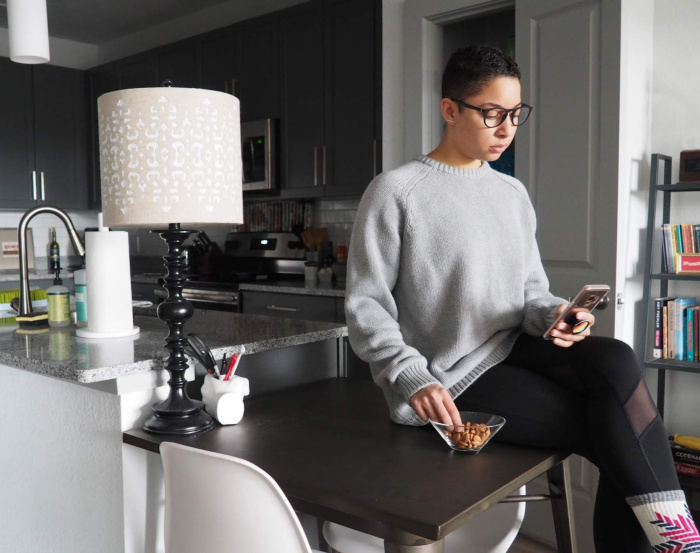 I hope to inspire you to refresh your home this spring with these simple ideas sponsored by Babbleboxx. I’m so glad that “spring cleaning” is a thing! 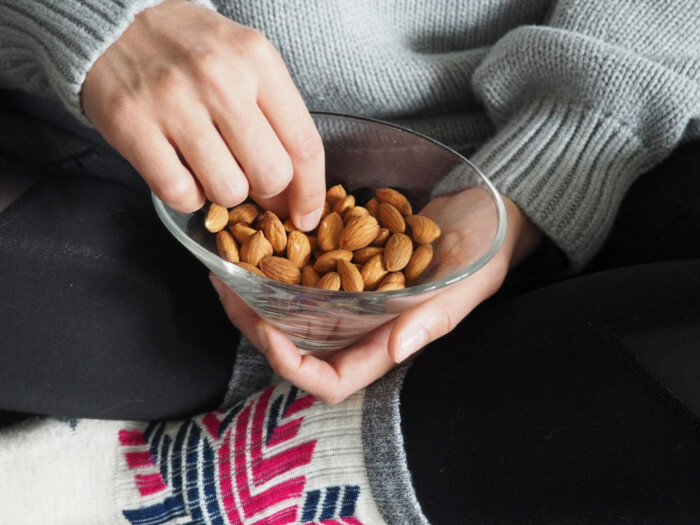 As much as I loathe tackling deep cleaning projects, it feels so good when my little piece of the earth has been thoroughly cleaned and refreshed – inside and out. 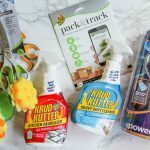 This year, I had a fun little kickstart as I began to refresh my space for Spring with the arrival of a Babbleboxx shipment full of spring cleaning helpers to make it all easier. 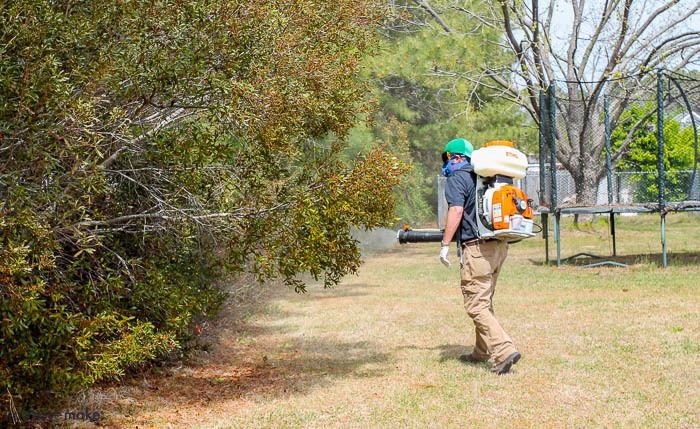 I started my spring refresh with a mosquito spraying for my outdoor living space. 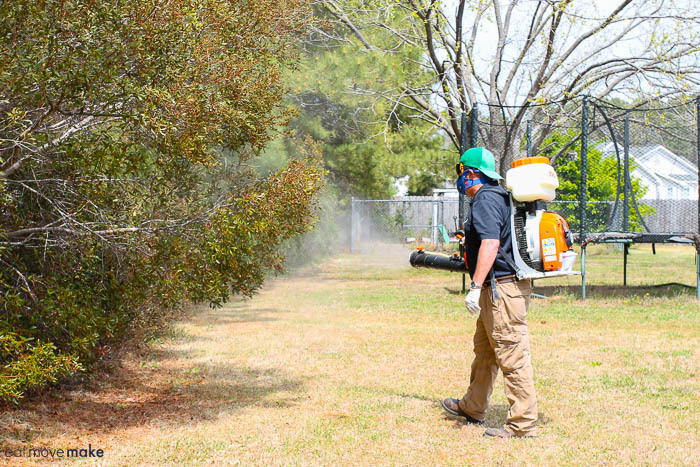 Mosquito Joe sent a certified and trained technician who walked my yard to customize a treatment plan and then followed up with a barrier spray and treatment. The mosquito control keeps mosquitoes, fleas and ticks away for up to 21 days so I can have fun outside all day, work in my beginner’s garden and sit on my patio at dusk and beyond without being attacked by those tiny bloodsuckers. Also, since I’m less likely to get bit, I have extra defense against mosquito-borne illnesses. Does the spray actually work, you ask? Heck yeah, it does! We have right-of-way drainage ditches with standing water on two sides of our yard and a ravine with water on another side, so if it can control mosquitoes with all that water around, you know it’s good! 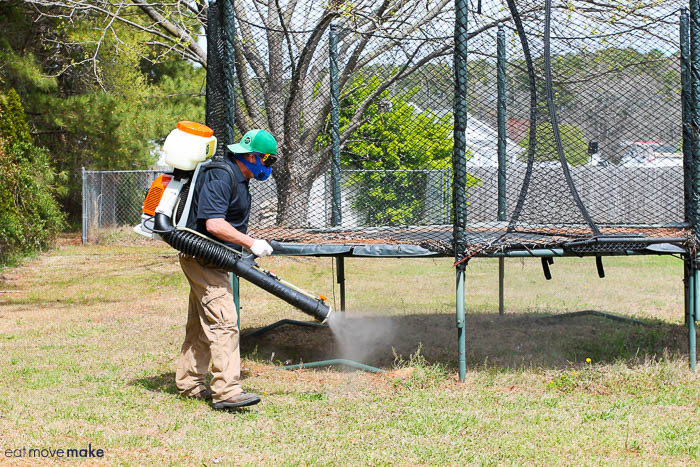 If you have mosquito control concerns, I recommend it. 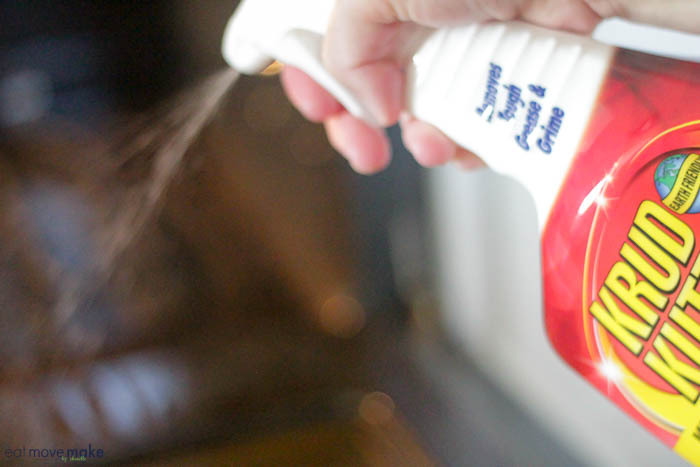 Mosquito Joe is the recipe for a happy bug-free backyard summer! Visit mosquitojoe.com and use code BUZZONLINE for $25 off your first treatment. 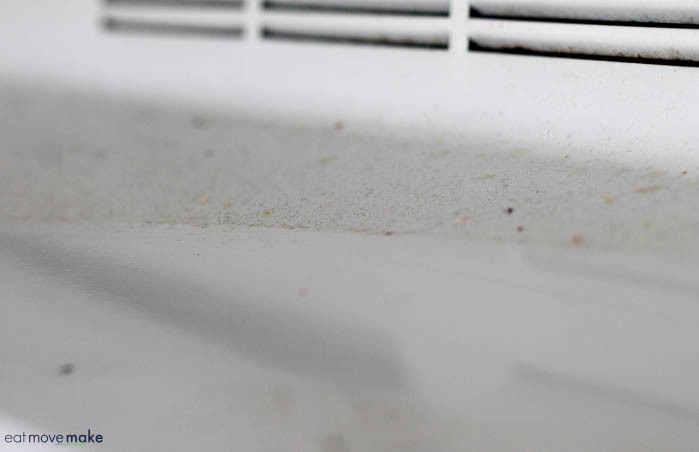 I tackled the sticky, greasy residue that lives atop my range hood with the Kitchen Degreaser and it blew my mind how easily it removed the grime. I couldn’t believe it ate through that layer of filth in seconds. Compare the dirty top with the clean bottom. Krud Kutter cleaned to a shine! 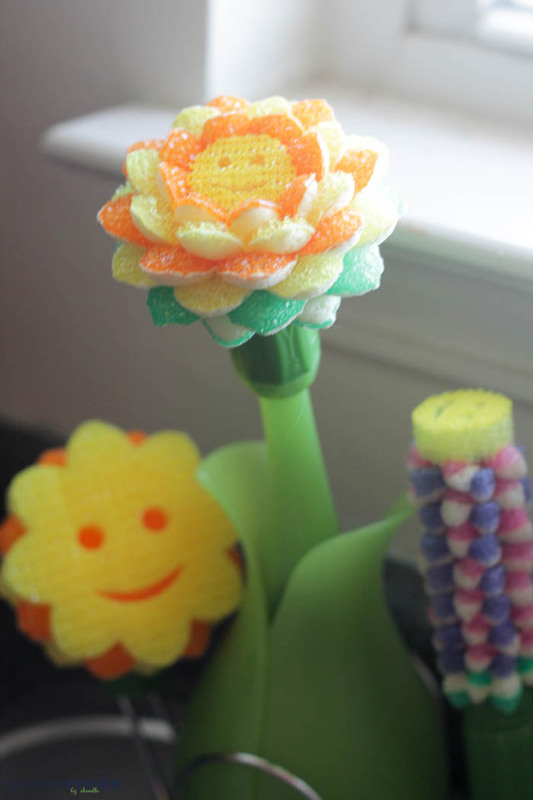 I can’t stand washing dishes by hand, but I have to admit that the happy face of the Scrub Daisy makes me smile. It’s so adorable! I keep the caddy right next to my sink so it can drain the excess water from the storage base after I’ve used it. 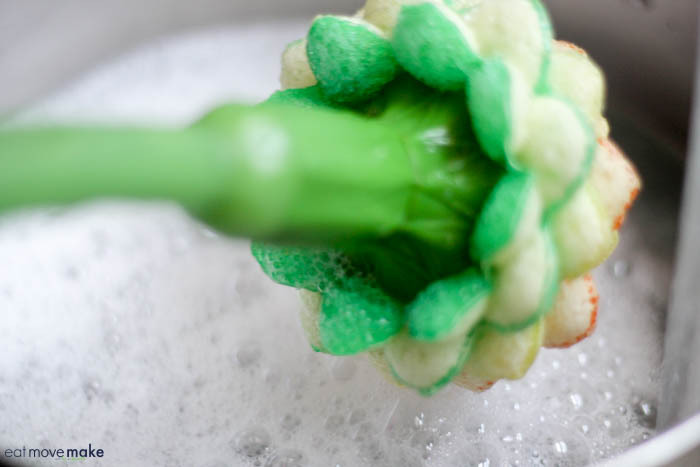 If you’ve ever washed dishes with a dish sponge and smelled “dish sponge” on your hands afterward, you’ll really appreciate the fact that the Scrub Daisy resists odors. It also cleans really well and doesn’t leave scratches on my dishes or glassware. 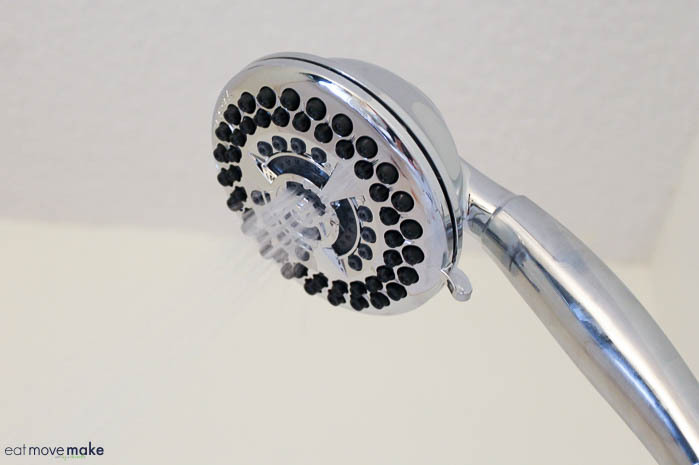 Hard water does a number on my showerheads and I find they get so gunked up over time that a real spring refresh includes a new showerhead. The Waterpik WaterSense showerhead is a beauty, and it also complies with the new water flow rate laws of 1.8 gpm to help conserve water. I noticed a slight difference in water pressure from the one I replaced, but conserving water is worth it! I also really like that with a quick flip of the switch I can change the water to pulse, massage or gentle rainfall. For more information on Waterpik Showers, click here. I have to admit it took me a minute to buy into the concept of the Pack & Track because there are a few steps involved, and I’m lazy. I normally use a marker on the box itself to identify the contents, but I gave it a try with an open mind. First, you download the Duck Pack & Track™ app (available for Apple or Android.) and place one of the labels on the box or container to be packed. 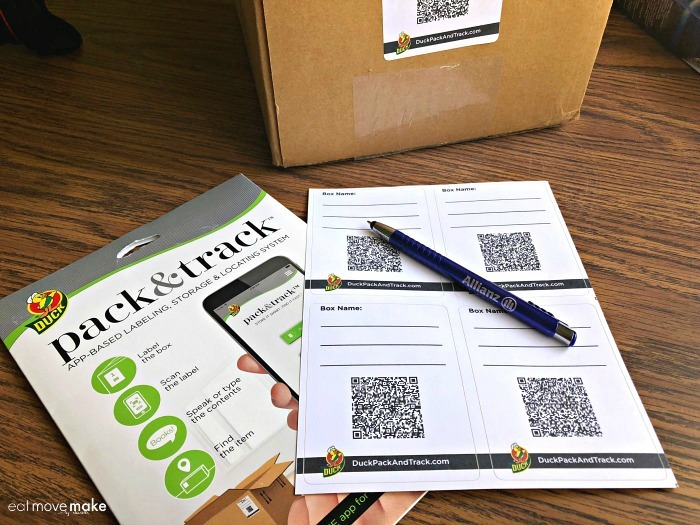 Next, you scan the QR code with your smartphone, name the box and log the contents and location. In my case, I’m not moving, but I have a houseful of boxes spread throughout three storage units. Now when I need to find something specific, I can search the app and find out which box it’s in and where it’s located. 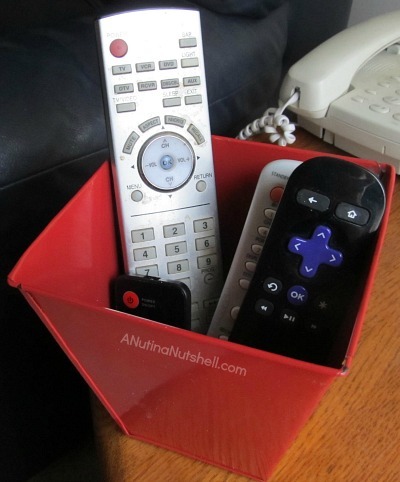 Or I can scan individual boxes to be reminded of what’s inside. 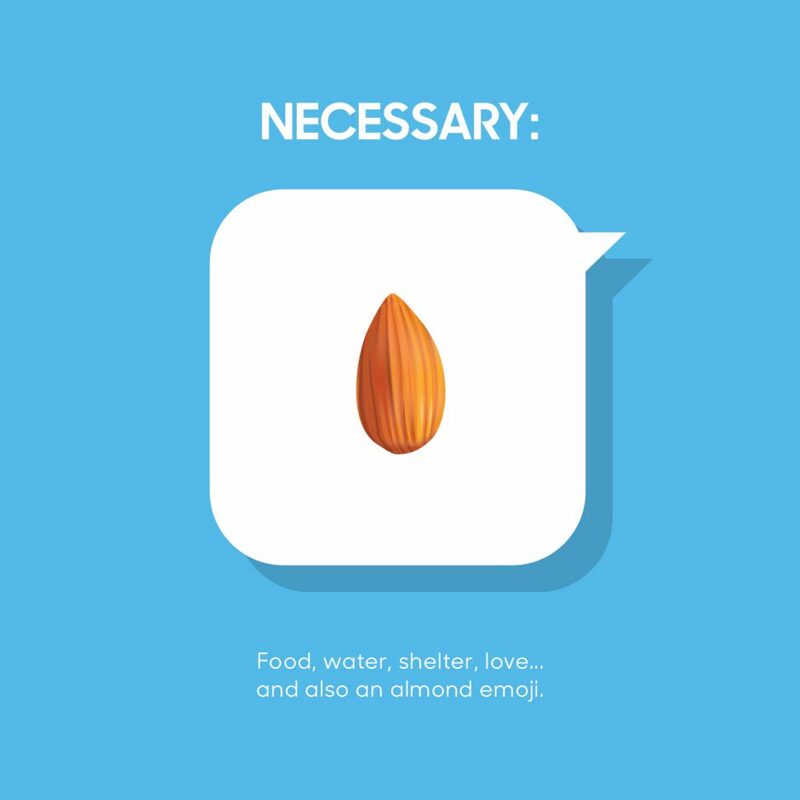 Talk about making life easier! Watch how Duck Pack & Track works here. 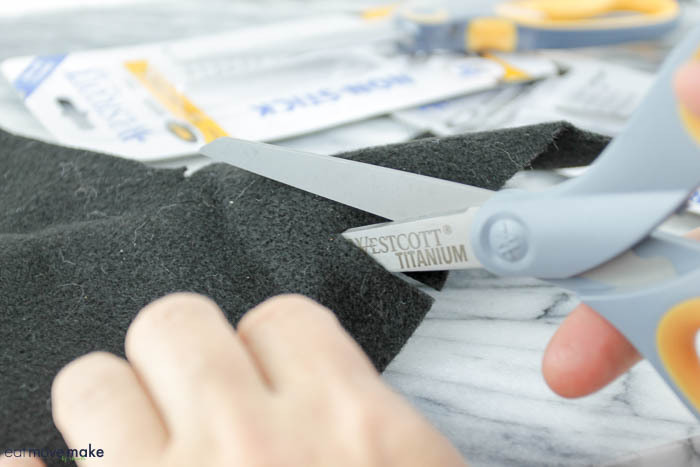 Something as seemingly simple as a great pair of scissors can make your life so much easier, and I’d forgotten that until I grabbed a pair of Wescott scissors and attacked my nemesis: felt. I use it all the time for various craft projects, and I’m tired of working my fingers to the bone trying to get dull scissors to cut through it. No more! The titanium bonded blades are 3x harder than stainless steel, so they’ll stay sharper, longer, and they sliced through the felt like it was nothing. I literally rolled my eyes in frustration for not picking up a pair (or more) of Wescott titanium scissors earlier, especially since I have carpal tunnel syndrome. The reinforced handles and high-leverage ergonomically designed bows are so much more comfortable! 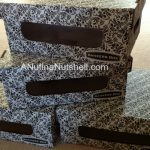 Do yourself a favor; lose the aggravation and get a pair! There’s a reason they’re the world’s favorite scissors. Find out more about Westcott scissors here. 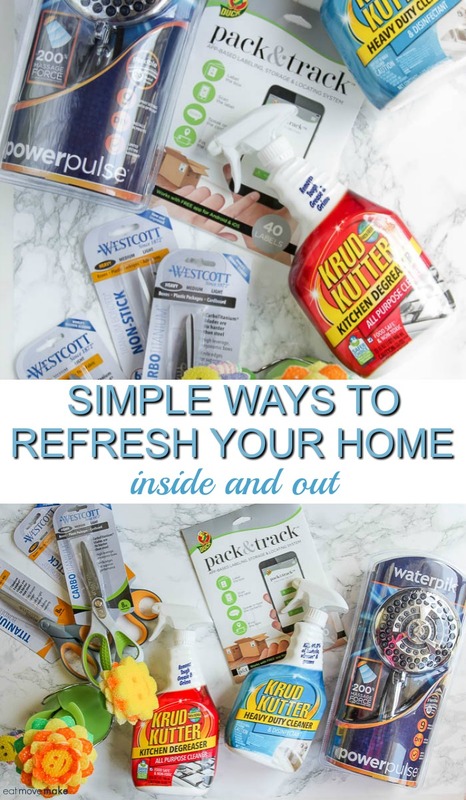 I hope these products help you refresh your home, bring new life to your indoor and outdoor spaces and make life easier and more enjoyable! Partnered post with Dollar Tree. All opinions are mine. I’m a very practical shopper, and like many, some, all or none of you, I live within a modest budget. I go into a store looking for a particular thing and if they have it, I buy it and then leave. If they don’t have it, I just leave. Some stores I stay a little longer than others though — Dollar Tree. I mean come on… everything’s a buck. That requires looking! 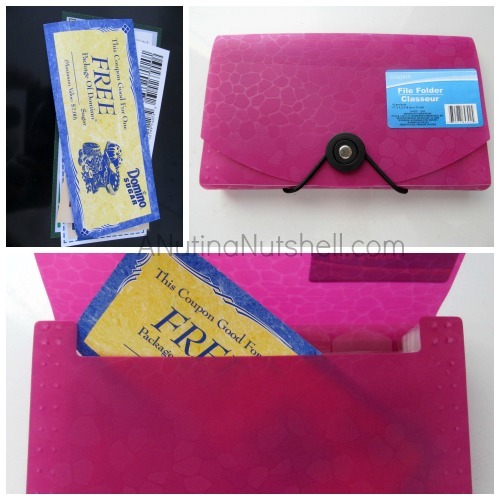 My most recent trip into Dollar Tree had me searching for simple organization solutions. I may have it all on lock in my brain, but my house is another matter entirely. 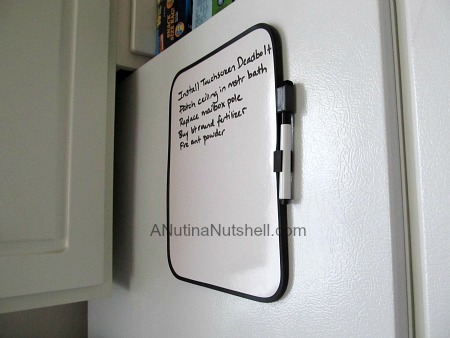 I found this magnetic dry erase board in the home office section. This was an essential one dollar purchase! I like to keep it on the side of my fridge because it nags me every time I go into the kitchen, and who doesn’t love to be nagged? 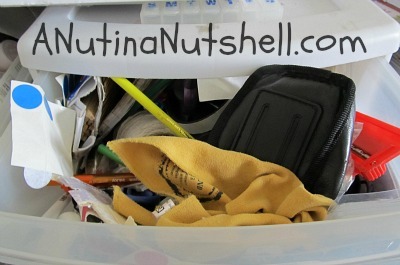 Since I have a way of stacking, shoving, and cramming things, my desk drawers are pure chaos. 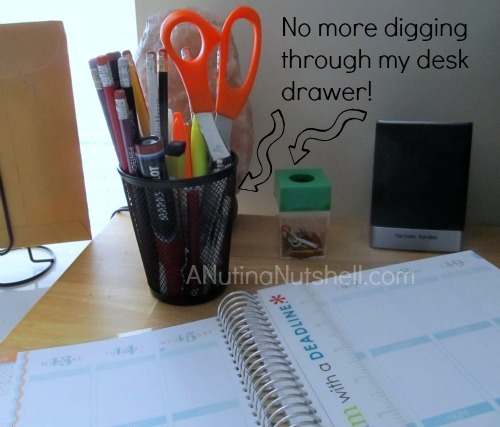 A simple change like adding a pencil cup and a paper clip holder to the top of my desk cuts down on some of those manic search and rescue missions. 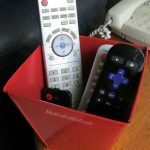 This is my new brainstorm box. I have notes in my phone, notes on scrap paper and notes on my hand and it’s a system that’s broken. So now I transfer my blog ideas to an index card, and I gradually flesh it all out in outline form as things come to me. I spotted all these food storage containers in the kitchen section (which is massive, by the way). Since I make a lot of recipes for the blog and can’t possibly eat everything at once, I portion and freeze a ton of it. 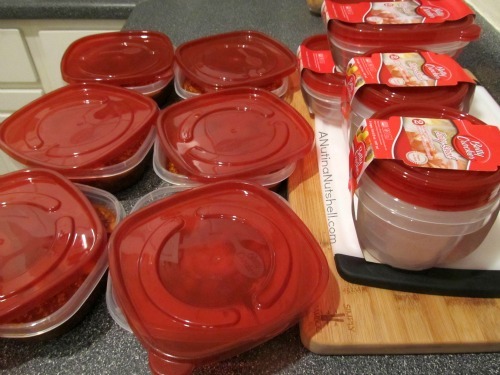 Six chili dinners ready to freeze! There are oodles and oodles of storage containers in Dollar Tree. OooooOOOdles! Some are functional in design but I’m drawn to the more colorful options. Did I mention there are TONS of them in the store? 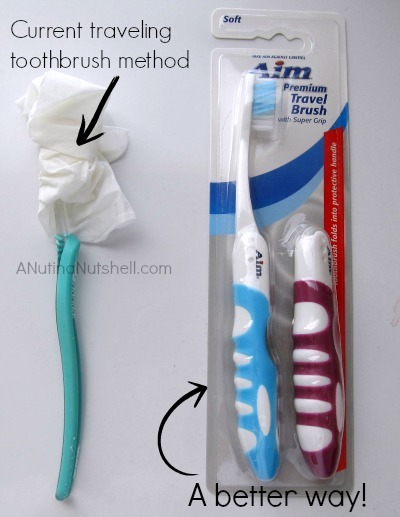 I stumbled across this folding toothbrush and had.to.have.it. I’m so tired of using the wrap-it-in-tissue method of storage. I was using those snap together tubes before the tissue wrap, but the insides were secretly hiding mildew and icky ickington bits. And finally, when I found this over the door hook, I felt like I’d reached the top of Mt. Organization. I know it’s just a simple plastic hook (with a grippy surface for cling power), but it makes me happy! 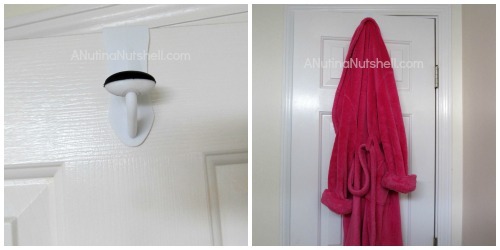 I can hang my giant fuzzy pink robe on it (and I do), or I can hang my bath towels up to dry after showering. (I do that too.) This is a $1 purchase of joy! I’m definitely not one for buying stuff just because it’s inexpensive, but when the price of everything in the store is only $1, it’s so worth wandering through the aisles to see if there’s something to help make life easier! Visit DollarTree.com to find a store near you! Tell me about your favorite Dollar Tree finds. What should I look for next time I go shopping? I Did It! Bankers Box Spring Cleaning Complete. Out of sight out of mind, but out of sight is hard to find. I totally just made that up, but it’s me to a tee because I stink at organizing my stuff, but I’m very, very good at hiding it and moving it and pretending it doesn’t exist. I’ve got problems and quite frankly, I’m just not sure if there’s any fixing me at this point. 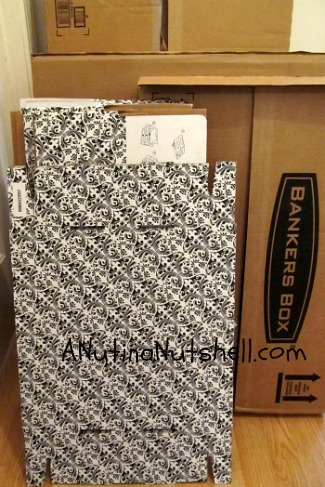 So all I can do is contain the madness in the most organized way possible for me, which is why I am using Bankers Box Stackable Storage Boxes. 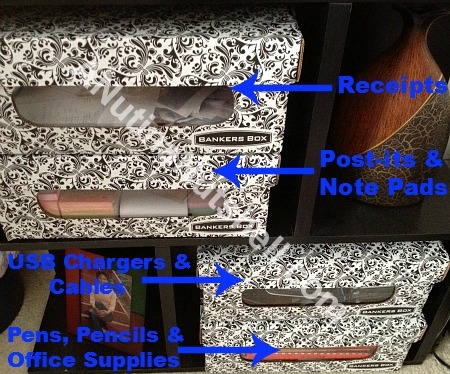 An organized person could use these to become extremely organized; a disorganized person could use these to become less disorganized. And that’s as far as I dare dream. 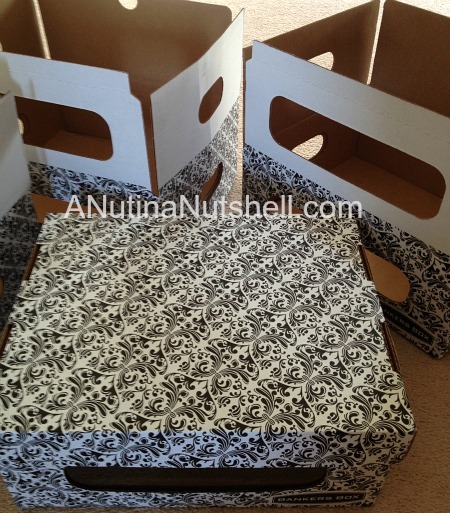 With a few quick folds and pushes, I had the heavy-duty triple-walled cardboard boxes assembled and ready for use. They even have clear plastic see-through windows to remind me of what I’m storing/hiding. 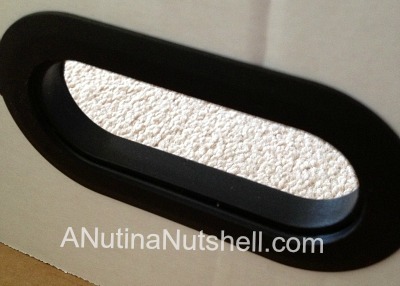 And there are snap together durable handles which overlap both sides of the carry holes to strengthen them. Love that! My biggest problem without a doubt is paper. I have the best intentions of saving my receipts so I can deduct them as business expenses, but they always end up as either purse litter, desk debris or crumpled balls of trash. 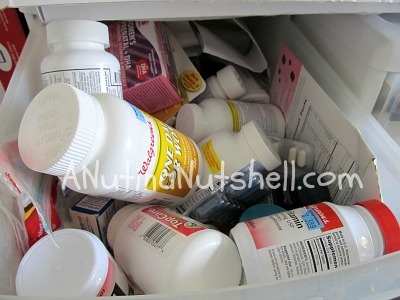 So now I’m taking all of them and tossing them into a Bankers Box together, and I’ll sort through them come tax time. 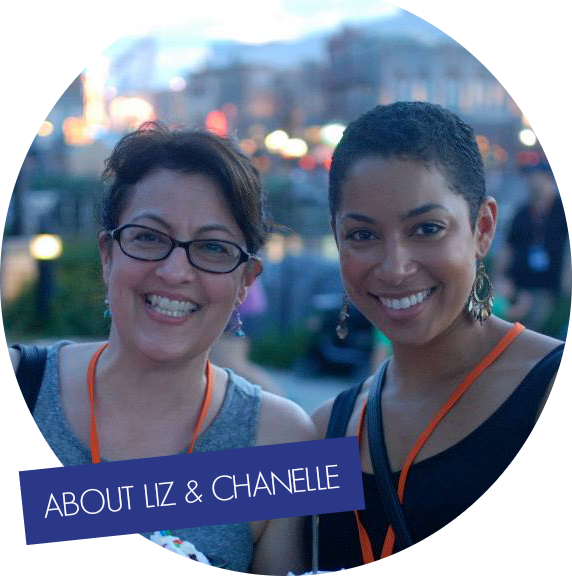 I realize it’s not an ideal organizational method, but it’s one giant step for Liz-kind, believe me! And see how nicely they stack. Yes, indeedy. 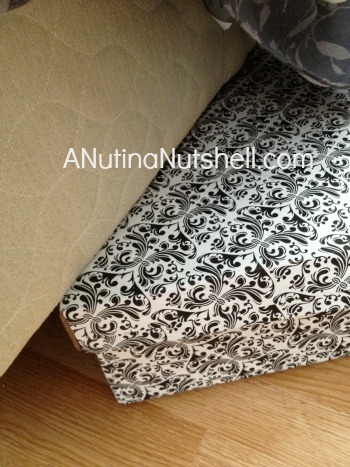 Also very nice for a girl who loves to hide her clutter are these under the bed storage boxes. I have my off-season shoes in there right now which is a beautiful thing. Oh, and they’re made from 60% recycled content, so they’re environmentally friendly as well. I always worry about that with paper products, so I appreciate that bit of “green”. If you need to get organized too, enter the Fellowes Bankers Box ‘Messiest Closet’ Contest on Facebook where you can win a consultation and/or lots of storage products! What would you store in Bankers Box storage boxes? I have so much stuff that my stuff is literally stuffed into wherever it’s currently being well…stuffed. The other day I walked around my house not even knowing where, what, and how to begin organizing. So I decided to take some before photos to remind myself never to let stuff get that disorganized again. 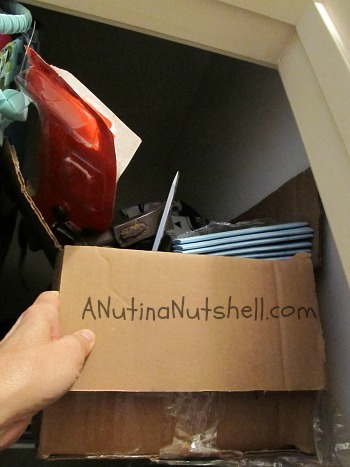 Truth tea: It’s a reminder to actually unpack from my move three years ago! And the very first box I ever so slightly jostled in order to take a photo tried to throw a projectile at me – my hazardously positioned box of willy-nilly tools. And my office supplies? Ridiculous. I need to contain my madness. 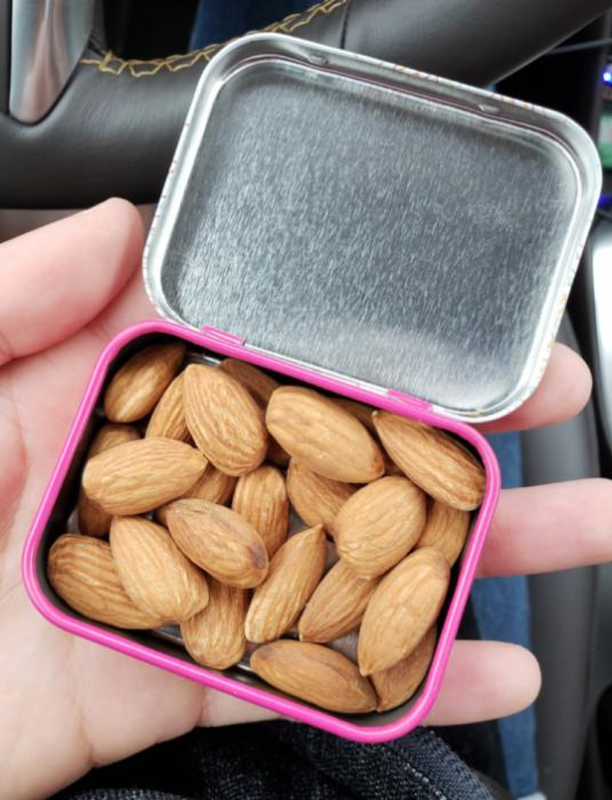 With a lid. A pretty lid for a pretty box, like these Fellowes Bankers Boxes that were just sent to me. 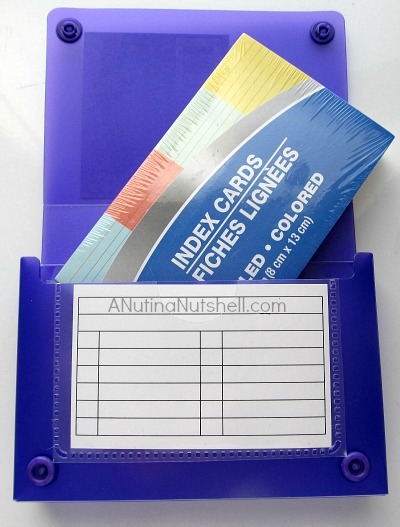 They come in a variety of sizes for my variety of projects, and if I need inspiration on how to use them, I’ll just check the Bankers Box home organization website for ideas. The pretty pattern will look nice no matter which room they end up in, don’t you think? So this is a large part of what my spring cleaning will involve this year. Wish me luck. I’ll let you know how I’m doing in a couple of weeks! And, you can also enter to win a set of Fellowes Bankers Box products here!